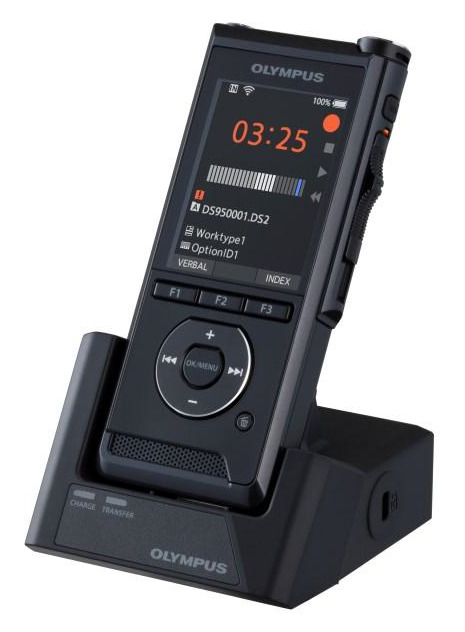 The new Olympus DS-9500 features Wi-Fi connectivity allowing you to share and send your dictation from anywhere, immediately to your transcriptionist without a USB cable, docking station or computer. With an Intelligent Dual Microphone System to control the directionality of each microphone to actively monitor and analyse the phase difference while recording. Voice recordings are enhanced by suppressing noise from noisy environments, keeping the focus on the person dictating. For conference recording, the system controls the directionally of the two microphones into a 90° layout to accurately capture all presenters in conference rooms. A triple-layer, studio-quality pop filter ensures accurate voice capture while reducing unwanted sounds such as breath and wind vibrations, for superior accuracy that enhances workflow efficiency. 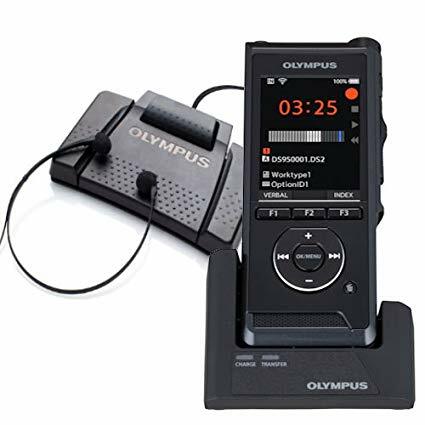 Included with the DS-9500, the Olympus Dictation Management System Release 7 software (ODMS R7), is the virtual coordinator at the heart of the Olympus Dictation Solution. The ODMS R7 suite has been designed to provide an intuitive and user-friendly experience capable of handling new efficient workflows in a scalable solution that meets the needs of offices small and large. The new Start-up Wizard provides quick and easy configuration through the setup of the Wi-Fi feature of the DS-9500 facilitating real-time dictation file sharing via network server, FTP or email, and quick set up of web-based e-mail clients such as Gmail and Microsoft Office 365. The flexible workflow of ODMS R7 allows automation in both on-site and off-site environments including file routing and workflow rules for efficient delivery within your business to predetermined destinations via network server, e-mail or FTP using either Wi-Fi, LAN or a USB connection. Transcribed documents are returned with ease to the original authors. For your complete dictation and transcription requirements the AS9000 Transcription Kit is the perfect companion to the DS9500. Training and Installation – Maximise productivity and ensure that you can hit the ground running with your new device. Installation, configuration & training is available from our experienced technical team and is conducted remotely at your convenience. Cost is $165.00 including GST, charged in 15 minute increments. Maintenance & Support Plan – Enjoy unlimited technical support for your new product by selecting this option. Our specialist technical team will be on hand to assist you with any queries you may have about the functionality or operation of your software or device. The plan covers labour and parts for your device. Additionally, you will never be left without a working unit as we will supply you with a replacement to use while repairs are being completed. Annual cost is $104.50 including GST per device.